Not everyone who moves to this LUVly community so lucks out. Here less than a year, our second home placed us directly next door to the guy who once owned a business I’m now told is the one most missed by the Locals old enough to remember a long list of storied small businesses from Winter Park’s past. Just before the final closing of the doors in 1985. Businesses like Cottrell’s 5 & 10 come and go no matter where you live. But while some fade away with little notice, others are long remembered, even missed. In Winter Park, MANY are still spoken about fondly decades after they ceased to officially exist. 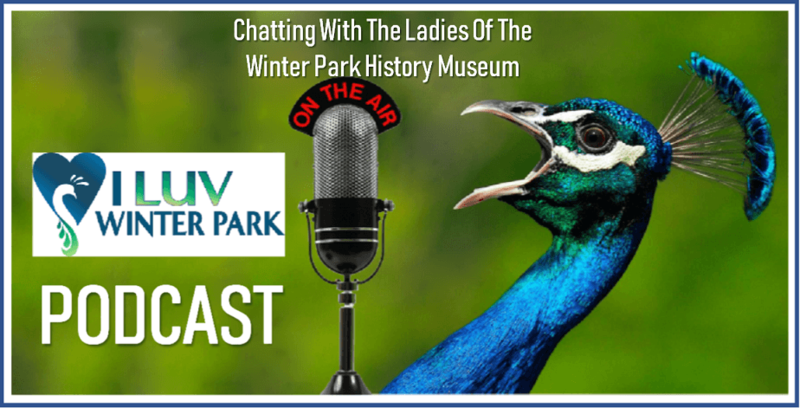 In this community, as I discuss in the newest podcast with Susan Skolfield & Linda Kulmann from the Winter Park History Museum, there is a connection to the past, a connection to one time Local small business, like few communities can claim. Not all small businesses close their doors because there is no longer the business there to support them. Owning a business requires much time, and there can be a wide range of issues which impact how it is managed, whether or not it continues to exist. In 1985, after more than 50 years in business, it came down to an offer made on the building in which it operated. I’d never heard of Winter Park in 1985, but since moving next door to Mr. Elliott and beginning this Local community celebration that is I LUV Winter Park, I’ve received a crash course in what makes Winter Park, well, Winter Park. 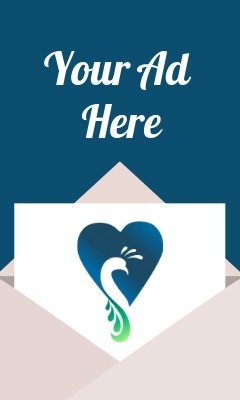 For so many LUVly, wonderful reasons, it is the exception to many modern day rules, a place where much exists so many others communities would surely like to get back. Mr. Elliott goes to Park Avenue! Here, shown with the sign from his store during the ‘Park Avenue in the 60s & 70s’ exhibit in 2012. 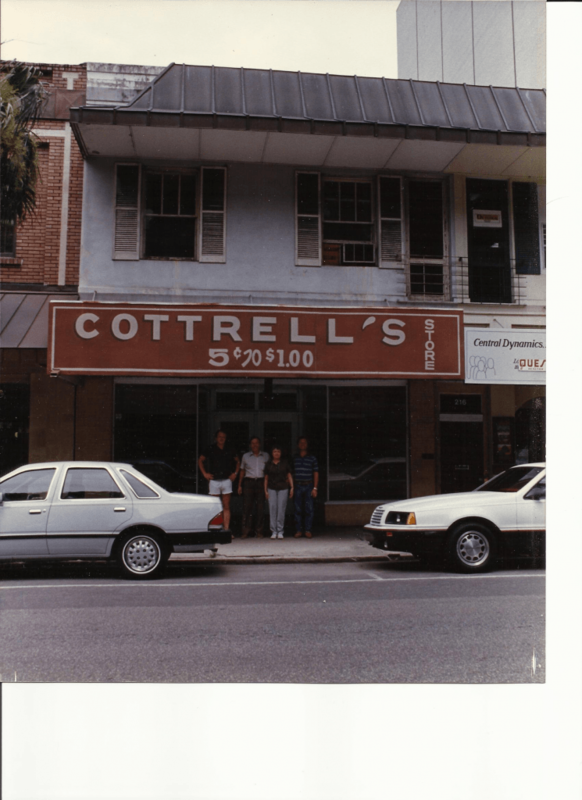 Started by his father-in-law, the store’s namesake, Cottrell’s originally opened in 1933/34. Mr. Elliott and his wife took over the store in 1950 and operated it for 35 years until selling the building in 1985, as some Locals sought to prevent the closure. That covers a lot of time, and a lot of change in America. Years ago, after hearing he rarely visits Park Avenue these days, I took him back to visit his old store location — now Chico’s — and to have lunch at 310 Park South, visit the “Park Avenue in the ‘60s and ‘70s” exhibit at the Winter Park Historical Association museum. 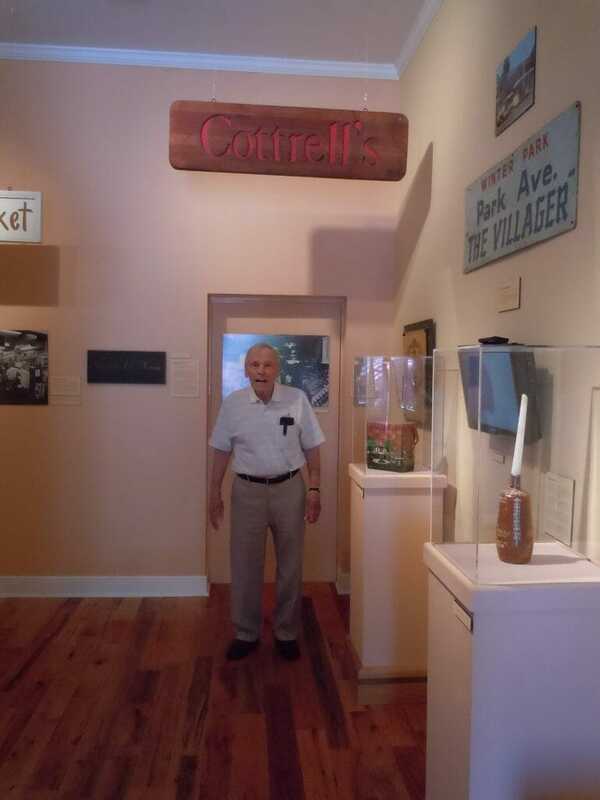 To accent the span of time since he first operated Cottrell’s, Mr. Elliott once noted, “Back in 1950 when I first took over Cottrell’s Five & Dime, you could come into the store and buy three items for a dollar and get change.” Then he laughed. The range of offerings was large, with Mr. Elliott estimating 12,000 to 15,000 individual items. “We had hair nets… nylon hairnets, hairnets with just a bun in the back… thousands of hairnets. And now they’re gone. Nobody would know what the heck I was talking about. It was a different world back then. If they (customers) moved somewhere else, they’d be writing me to mail them hairnets. They were what, 15, maybe 25 cents, it wasn’t a good idea for me to get involved in mail order,” he added, though he always did. Winter Park is Winter Park because of people like Mr. Elliott, the small businesses they own and operate, have over the years and decades. I hope you enjoy this latest podcast. There are more planned like it!